The Eddie Bauer Adventurer Travel System in Piedmont includes an infant car seat. The large storage basket on the stroller springs down easily for loading all of your shopping treasures. 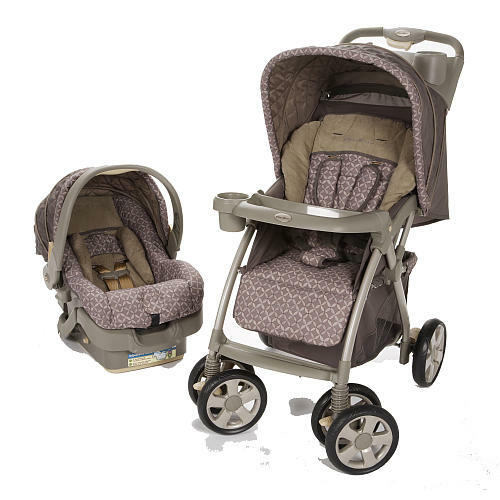 Other features: 1-hand fold n stand with self-lock makes storing the stroller easy. the infant car seat has Side Impact Protection and comes with an adjustable and up front harness adjustment.